Homosexualtiy and the 21st Century – Is Dialogue Even Possible? In other words, the Bible pretty clearly lays out the boundaries of human sexuality from God’s perspective. Just as it lays out all kinds of other limits on what we can and cannot do. From a Bible-believer’s perspective, God created the world, God created us, and God created human sexuality. As the Creator, He gets to decide what is and what is not within His intent, purpose, and design for human sexuality. From a non-Bible-believing perspective, there appear to be no limitations on what is acceptable. Who has the authority to make rules? Who gets to define right and wrong? No one. That is why knowing how to say what we believe is extremely difficult. I never want to condemn, ridicule, insult, or even offend unnecessarily, do you? 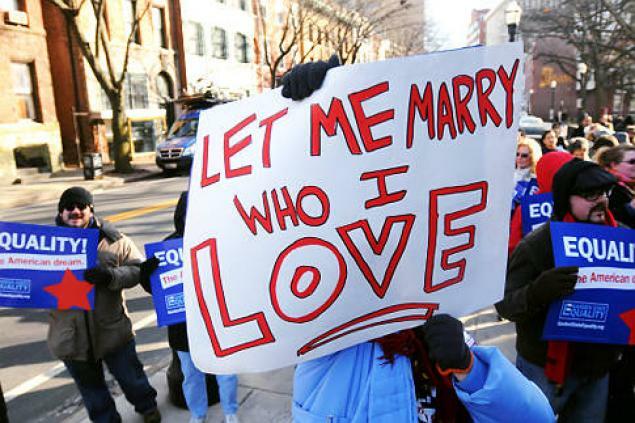 Think about the statement he is condemning: the practice of homosexuality is incompatible with Christian teaching. The Bible condemns the practice of homosexuality. It is a sin. The only way around that is to find a way to get the Bible to say something other than what it clearly says. Christian teaching is based upon the Bible. Therefore, the practice of homosexuality is incompatible with Christian teaching. That is a perfectly valid, straightforward, neutral statement of truth. And yet, to Mr. Hood and so many others in our culture, how is the statement characterized? I wonder how we are going to bridge this divide. How can I express what I hold to be a valid, non-judgmental, non-homophobic, non-bigoted statement of truth (i.e., the Bible says this, Christian teaching holds this, etc.) and not be characterized as hateful, nasty, homophobic, and bigoted? 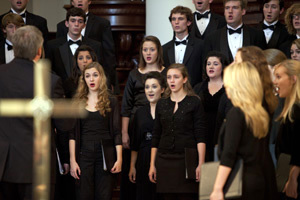 Why Do Some Churches of Christ Sing A Cappella? If you visit a Church of Christ on a Sunday, one of the first things you will notice is that they sing without the accompaniment of mechanical instruments. Why? Why do we sing without instruments? Not long ago, someone began a thread on Facebook by asking this exact question. I responded with a condensed version of an essay I have written on the subject but the author immediately deleted the post. The author said that the discussion had turned into an emotional argument rather than a principled discussion. The author was quite upset that someone had hijacked the thread. I hope these frustrations were not directed at my comments. I offered them there, as I do here, as one flawed human beings’ attempt to understand how this unusual practice came to be so important among Churches of Christ. So, back to my question – Why do we in Churches of Christ sing without instruments? My conclusion is that we sing without mechanical instruments because of the history of how God’s people have worshiped Him through the centuries. If you are interested in reading the essay that explains my understanding, my reasoning, and my conclusions on the question, click here. This is not universal across the country as there are many churches that use the name Church of Christ and do not follow the a cappella tradition. Furthermore, there are some Churches of Christ that are questioning the tradition, refusing to follow it, and allowing at least some worship with mechanical instruments; however, as a general rule, if it is a Church of Christ from within the Stone-Campbell Movement, also known as the American Restoration Movement, chances are good that if you visit you will experience worship in the a cappella tradition. An Internet search will reveal that there are many who take this discussion very seriously. There are even some who take it to its logical extreme and claim: “If you do not worship a cappella as the first century church did then you are apostate, not Christian, and outside the grace of Christ.” I am not one of those people but they are out there – in droves. 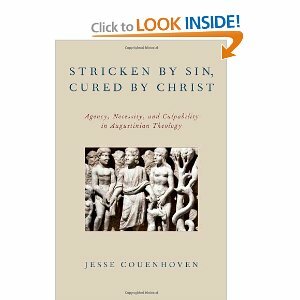 Jesse Couenhoven, Stricken by Sin, Cured by Christ: Agency, Necessity, and Culpability in Augustinian Theology (New York: Oxford University Press, 2013). As a preacher in Churches of Christ, this book is a challenging read for me. Many non-Christians in America are turned off by the Christian teaching on sin. Why would anyone want to go to church and sing about human failure, death, and dying? Perhaps more surprising, however, is the fact that some Christians find the biblical depiction of human sin overly pessimistic. When Scripture speaks of human corruption, some Christians speak of human potential. Many of our critics accuse us of being “Pelagian” in our view of human sin. Right or wrong, our critics do point out a serious issue in our theology, in our view of the human condition after the Fall. My question to our people is, “What do we believe about sin and its effects on the human condition?” What did we inherit from Adam, if anything? What were the effects of “sin entering the world” through Adam’s disobedience? What is Paul’s point in Romans 5:12-21? As a man who makes his living preaching in and for Churches of Christ, I want to know what to teach about the ability of human beings to overcome sin by themselves. Do I go with Christian orthodoxy and risk losing my position of employment? Or do I go with the party line and, while retaining my job, run the risk of violating the overwhelming testimony of our Sacred Text? This presents quite a dilemma. Fair enough, at least according to “common sense.” But what about Paul’s clear teaching–teaching inspired by God’s Holy Spirit–that it is humanly IMPOSSIBLE to keep the Law, or any law, perfectly? What about Paul’s teaching that it was never the purpose of the Law, or law, to produce righteousness but, rather, to expose human sin? Furthermore, the other side of the question is, “If every human being born after the Fall is capable of living a perfect life, why did it take the miraculous birth of Christ—the incarnation of God Himself—to produce a human being who could actually accomplish that feat?” Surely if it were possible for every human being to live a perfect life, there would be at least one example from history. Heaven knows many have tried. The problem is that each and every one who has tried has failed, most failing miserably–except One, and He was God-in-the-flesh. My present sermon series is an expository journey through Paul’s letter to the churches of Galatia. In this hard-hitting letter, Paul is attacking the human tendency toward self-reliance head on. He is intense, he is angry, and he is pulling no punches. Why? Because Paul has discovered hope—true hope for the human condition. And true hope does not come from the power of positive thinking. No! True hope comes from “the truth of the gospel,” which is: Christ and Him crucified is the ONLY cure for human sin. This truth is pessimistic to some, but liberating to those who see its power. The Christian teaching on sin seems pessimistic only to those who think we ought to be able to justify ourselves, by ourselves. The view that we can justify ourselves degrades the Bible’s teaching on human sin. The belief that we participate in—or even contribute to—making ourselves righteous offends God’s claim that righteousness (justification, salvation) is a free gift, given by grace. The Bible’s teaching that we are not masters of our own goodness and cannot justify ourselves is not a counsel of despair but testimony to our only true hope—Christ and Him crucified. Freedom is NOT an autonomous achievement but, rather, a free gift. One that we ought to receive joyfully. I am still wrestling with this mystery. Regardless of which view one takes, there remain unanswered questions. It seems to be impossible to tie up all the loose ends in this challenging debate. After more than three decades of struggle, however, my conclusion is this: Regardless of “who made me do it,” I have personally participated in Adam’s rebellion—I am guilty of sin. And so I do not need a self-help remedy for my sin problem. I need a Savior. Praise God that He has provided One for me—and for everyone else who comes to Him in humility, repentance, and submission. Salvation – It is NOT All About Me! Hand me a photograph with 100 people in it and what do I immediately do? Look for my ugly mug! Eleanor Roosevelt said, “You wouldn’t worry so much about what others think of you if you realized how seldom they do.” Why don’t they think of me? Because they are just like me—they are thinking of themselves instead! We sing the song, Create in Me a Clean Heart, especially at youth events. The song is based on Psalm 51 and was originally composed by Keith Green. Following his premature death in an airplane crash in 1982, Green’s widow Melody pulled together several previously unpublished songs composed by Green and released them on the 1984 album, Jesus Commands Us to Go! This song was included in that release. We do not sing Green’s version of the song, however. The version that we most often sing was arranged by Kenny Lewis. Although I mean no disrespect to Kenny Lewis, I must assume that it was Lewis who changed the wording. When we sing the now-popular version of this gorgeous song, what do we say about salvation? “Restore unto me the joy of MY salvation” (emphasis added). That is my point – everything is about me, even salvation! 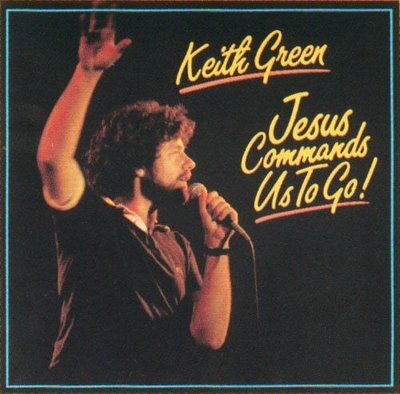 When Keith Green originally wrote the song, he followed the wording of the Hebrew Bible. Green had a Jewish background; his wife Melody was also Jewish and converted to Christianity. What did Green’s song originally say about salvation? 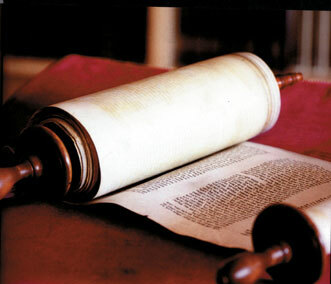 Precisely what the Hebrew Scripture says about salvation: “Restore unto me the joy of THY salvation” (emphasis added). That is the point of our sacred text – everything is about God, especially salvation! The Roman Catholic Church taught (teaches?) that salvation does depend on me to a certain extent—on my “works” if you will (I realize this is a gross oversimplification but I am trying to make a point so please indulge me here for the sake of clarity). The Restoration Movement, of which I am a part, tried to navigate some middle ground I suppose but still allows the emphasis to remain on the human side of the equation. In our tradition, “God’s Plan of Salvation” says very little about God at all! Instead, God’s plan of salvation is about me hearing, me believing, me repenting, me confessing, me being baptized, me doing church correctly for the rest of my days, etc. In the last two series of sermons I have preached, I have tried to illuminate the emphasis that God’s word places on Salvation—how a sinner becomes righteous (is justified). Here is my summary in bullet points. I invite you to think about this and, if you have questions, to listen to my sermons on the subject. I am NOT saved (justified, made righteous) by my works. This is an absolute no brainer. The only possible issue I face in adhering to this obvious biblical truth is knowing how to properly handle James 2:14-26. I am NOT saved (justified, made righteous) by my faith. I AM saved (justified, made righteous) by the faith of Jesus Christ (Romans 3:22; Galatians 2:16, 3:22; Philippians 3:9). To see the point I am making, you will need to read these passages either in the original Greek or in the King James Version. Most modern English translations obscure the subtle distinction being made in Paul’s theology of justification by faith. As I see it, there are two “kinds” of faith in Paul’s teaching: the faith of Jesus Christ and the faith of a penitent sinner. The faith of Jesus Christ is what “reveals” God’s righteousness—makes it available to sinners, enables God to keep the promise He made to Abraham, to impute righteousness to rebellious human beings, etc. My faith moves me “into Christ” where Christ’s faith makes me righteous. Specifically, my faith moves me to repent, confess, and be immersed “into Christ” where God places my sins upon His cross, me into Him, and His righteousness into me. Love Me; Obey Me; May 5, 2013; John 14:23-24. 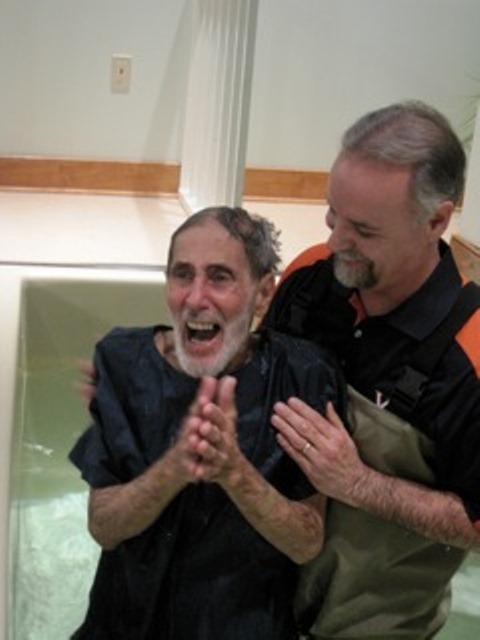 My Baptism – Christ’s Act; May 12, 2013; Romans 5:18-19. The Exchanged Life (Part One); May 19, 2013; Romans 8:12-17. The Exchanged Life (Part Two); May 26, 2013; John 15:1-4. Moving From Head to Heart; June 2, 2013; Ephesians 1:15-23. Freedom – An Urgent Plea; June 16, 2013; Galatians 1:1-10. Freedom – Ordained by God; June 30, 2013; Galatians 1:11 – 2:14. Freedom – It Comes Apart from Law; July 14, 2013; Galatians 3:1-18. Freedom – It is Lived Out in Christ; July 21, 2013; Galatians 3:19-21. All of the sermons are addressing the question: how does a sinner become righteous. In other words, they are all addressing the issue of “justification” directly and only discussing “sanctification” secondarily. In all of them, I try to move the emphasis off of me and onto Christ. In the two sermons marked with an asterisk (*), I deal specifically with Paul’s statement “the faith of Jesus Christ” and its implications for answering the question: how does a sinner become righteous? In the sermons dealing with the faith of Christ, I mention an enormous body of literature on the subject. I have uploaded a Bibliography to this blog site that gives you the sources I have found that discuss and participate in this fascinating debate. You can find the link on the “Pages” section to the right. I also refer to a “cheat sheet” that I created that quotes the eight Pauline passages that have this unique phrase. I have also uploaded this document for your use. You can find the link on the “Pages” section to the right. Of course, I would love to discuss this further, as long as we can do that civilly and in a Christian way, either on this blog site or via email. Twice in my preaching career I have presented a sermon series on the biblical view of baptism. Both times I covered the topic in four sermons. Francis Chan says in 4 minutes, 40 seconds what I was trying to say in four sermons. And he says it better. If this is not how one comes into fellowship with you–by hearing and believing the Good News, repenting of sin, confessing Jesus as Lord, and being immersed into Christ–then just how, pray tell, does one come into fellowship with you? 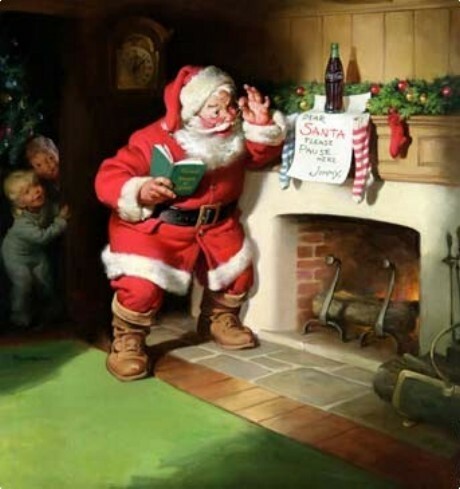 Not a creature was stirring – ¡Caramba! ¿Que pasa? Some in long underwear, some in pajamas. Ay Chato, ay Chopo, Macuco, y Nieto! For two quarters, I have been teaching the Book of Isaiah to the adult Bible class. I covered the entire 66 chapters in one quarter and then rotated classrooms and repeated the same 13 lessons to a different group of adults. It has been a tremendous learning experience. In chapters 1-39 we are rolling along discussing the world in the 8th century B.C. (740-701). Assyria is threatening, Israel is falling, Judah is being sacked. In chapter 40 we are suddenly transported 200 years into the future. Babylon has conquered the world, the Jewish people are at the end of their captivity, and Cyrus, king of Persia, is about to take over the world. What is amazing is that the text does not bat an eye. It simply makes the shift and assumes the reader will come along for the ride with no question. However, careful modern readers have many questions. First, what happened and why was I not warned of this sudden shift in time and space? Second, now that you have rocked my world, why is there no explanation of what just happened? Third, how is it possible that the person who was alive to witness and report the events of chapters 1-39 now appears to be alive and reporting on events that are happening 200 year later? To add to the mystery, Jesus cites Isaiah chapter 40, which is reporting events that are happening around 540 B.C., and ascribes that writing to “the prophet Isaiah” (Matthew 3:3). Is this the same Isaiah who wrote chapters 1-39, which describe events occurring 200 years earlier? How is that possible? It says a lot. It does a lot. And it does not always make perfect sense to my little pea brain. I have lots of questions – sometimes more questions than answers. But my questions relate to the nuances and mysteries of the sacred text, not the God who inspired the text. The God who inspired the Bible is a glorious and worthy God. He has gone to extreme lengths to rescue me from my confusion and distress. He rescued Israel by sending His Suffering Servant (Isaiah 52:13 – 53:12) to accomplish His mission. And that rescue mission was for more than just the people of Israel – it was for everyone, me included! For that I will always serve Him. I will always preach and teach His holy word. But be warned, as I labor in this earthly vessel, I may not be able to fully explain everything I know about the nuances of our sacred text.